Australia is a richly cultured country, wildly exciting with a promise of adventure spanning from its diverse wildlife on land and lush coastal waters. Our friends over at the Victorian Farmers’ Market Association reached out to us inquiring if they could be an internationally participating Guest Instagram market. Um, yes of course! This unique opportunity allows us to learn about and from the VFMA, seeing how things are done down under. Lynton Fisher of Kingfisher Citrus describes how impactful VFMA accreditation is to producers and consumers. “VFMA accreditation provides recognition and credibility. We sell our citrus at lots of markets and there is no doubt the VFMA accredited markets are the best. They’re well managed, don’t have resellers, and attract genuine shoppers wanting to buy our produce”. With 46 accredited Victorian markets, the VFMA has put the area on the map for a standard on regulating and safekeeping local food. Follow their two-week, Instagram stint and be internationally inspired! Farmers Market Coalition: Give us a little bit of history on the Victorian Farmers’ Market Association. Jodie: Founded in 2004, the Victorian Farmers’ Markets Association Inc. is a not for profit membership association, incorporated under the laws of Victoria, Australia’s southeastern state. 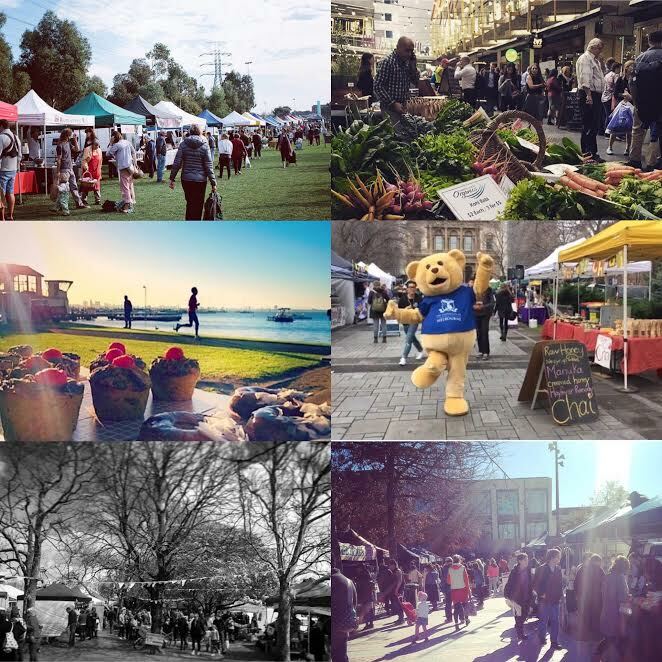 The VFMA’s mission is to support and promote authentic farmers’ markets in Victoria. • Customers buy fresh locally grown produce directly from the grower, and value added products direct from the producer, who receives full economic and social credit for their contribution to a sustainable local food system. Farmers Market Coalition: Tell us more about the Accreditation Program. J: In order to regulate authenticity, the VFMA created and registered an Accreditation Program with the ACCC (Australian Competition and Consumer Commission) in 2011 to certify and differentiate authentic farmers’ markets for producers and consumers. The accreditation’s foundation is that the majority of produce and products being grown, reared, caught or processed in Victoria. Another principle for accredited markets is having each stall manned by at least one individual who has intimate knowledge of, and direct involvement with, the production process of items for sale. FMC: How do you generate neighborhood excitement for your markets? J: The VFMA sends a weekly newsletter to our 9000 subscribers about what is upcoming that week and weekend at their local accredited farmers markets. We also schedule posts across Facebook, Instagram and Twitter letting people know which markets are on and which stallholders you can find there. J: The VFMA has the only accreditation program currently in operation in Australia and this has allowed us to create a state of thriving and authentic farmers markets. Our application process collects all relevant information from growers and makers that ensures they are genuine and legitimate and serves as a central data holder for all our member markets. Market Managers are able to access this information by logging in to our website, and we have market visitors conducting random audits to ensure stallholders are complying with our rules. Our branding allows our patrons to know that whichever market they are attending across our large state that it is a ‘real deal’ farmers market! FMC: Is the VFMA a model for other markets or associations in other Australian states? J: While we are the only current accreditation program, we have been in ongoing talks with the government and other states to hopefully introduce the system nationally. FMC: What are Victorian seasons like? J: Here in Victoria we have four pretty distinct seasons throughout the year – however, we do have a reputation of experiencing “four seasons in one day”! FMC: What are seasonal favorites at the markets? J: Summer is very popular for stone-fruits such as cherries, etc. And winter is a lot of root vegetables, etc, perfect for soups and stews. Spring is a wonderfully abundant time for fruit, veg and meat such as lamb of course. FMC: Could you describe a few of the VFMA markets? j: The largest is probably one of the longest running which is the Collingwood Children’s Farm Farmers Market, started in 2002 and regularly sees over 60 stallholders attend monthly. The Macedon Ranges are approximately 2 hours out of Melbourne and their four markets work as a network to rotate amongst four towns (Woodend, Riddells Creek, Kyneton and Lancefield) to host a farmers market each weekend of the month, these are regional markets who have some crossover of stallholders but also feature those specific to their town. One of the other longest running in Melbourne is the Flemington Farmers Market which runs a successful weekly market (something others have struggled to do), based at a local primary school which has become an integral part of the local community. FMC: What are some of the special events/special market days? J: One of the busiest times of the year is the lead-up to Christmas where most markets will hold a ‘Twilight’ market on an evening close to Christmas. Long weekends such as this coming Australia Day are also typically the busiest of the year in tourist regions such as the Mornington Peninsula.